Most IPTV services are broadcasting direct on their server ports. 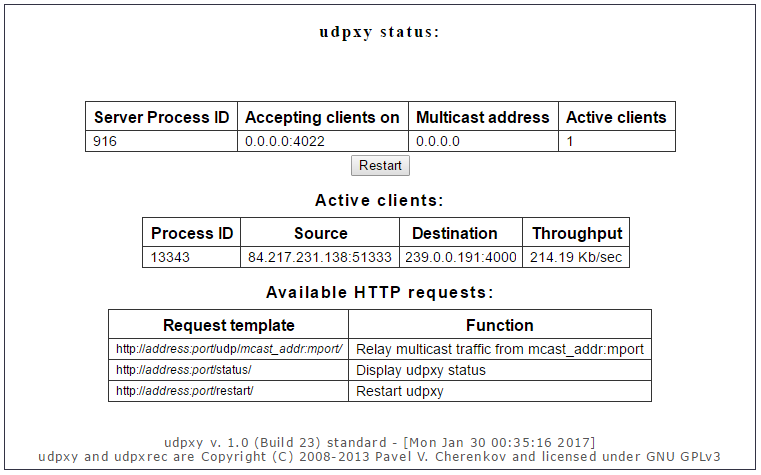 You can use to Simple TV Player as a IPTV Scanner, especially on servers that use udpxy. Also SimpleTV player usable as a port scanner. In destination table, look at the ip addresses and ports. Enter to server address, ip ranges, ports, now we can start scan. IP address and ports will be scanned automatically. If found any channels, they will be listed. When you finished scanning and listed found channels, you can save to channels in simple tv playlist or export to as a m3u playlist. We simply showed how to scan iptv servers with Simple TV. It is up to you to find the servers and to scan other stream formats.